You are on www.onlinepooja.siddhivinayak.org, portal developed for facilitating devotees for booking puja online. This portal is also designed, developed and maintained by Siddhivinayak Temple Trust only. Two payment gateways are provided, HDFC and Federal Bank. Both are secure and safe. There are many features that will facilitate pooja booking as well as retrieval of history of registered users. If any difficulties are encountered, please contact Temple Trust on +91 22 24373626 / svt@vsnl.com. 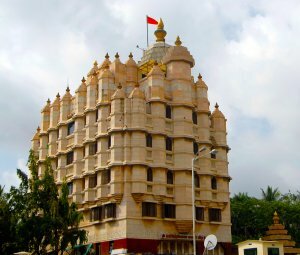 Shree Siddhivinayak Ganapati Temple Trust. Prabhadevi, Mumbai. The project is fully funded by the Indian Bank and being implemented by TRIMAX on BOOT basis.